• The Mustangs are looking to post their second-straight win over Wilkes after dropping the first three of the series. It would be Stevenson's first win in Wilkes-Barre. 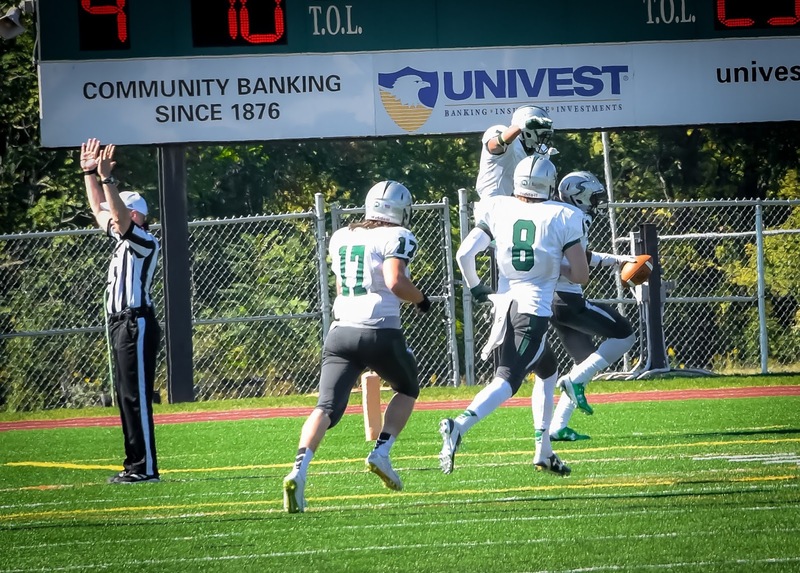 • Stevenson's defense continued its dominance in last week's win, totaling five interceptions and a fumble recovery. Jimmy Lauer totaled three interceptions. • The rushing game for Stevenson was held stagnant with 65 yards, but Kiandre Burrelltotaled two scores on the ground after totaling just one in the previous six games. • Freshman Brad Harmon made his collegiate debut and threw for 216 yards and two scores. • Wilkes is averaging just 84 yards per game on the ground. The Mustangs defense rank third in the conference, allowing 115.9 yards per game. Last week, Stevenson allowed zero net rushing yards. • Stevenson leads the conference in scoring defense, allowing just 13.6 points per game. The Colonels rank second to last in the league, totaling just 14.6 points per game. • The Mustangs rank second in the conference with 26 sacks. Wilkes has given up 23 this year. • Wilkes' Aaron Coyne is one of just six players in the conference to have four receiving touchdowns. • Tanner Stengel has recorded 7.9 solo tackles per game for the Colonels, a mark that ranks second in the nation. His 12.1 total tackles per game ranks 12th.